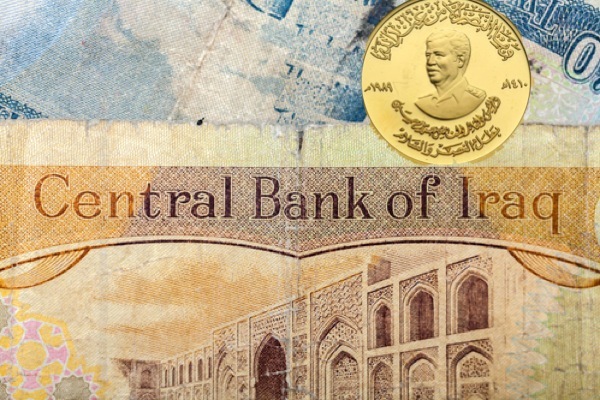 The Central Bank of Iraq has acquired 36 tonnes of gold so far this month, the largest purchase by a single nation in three years, in an effort to help stabilize the exchange rate of its local currency against foreign ones. Based on data posted by the World Gold Council, Iraq’s purchases this month alone exceeds the entire demand of several large industrial nations in all of 2013, such as France, Taiwan, South Korea, Malaysia, Singapore, Italy, Japan, the UK, Brazil and Mexico. The last time a nation bought that much gold was in 2011, when Mexico added 78.5 tonnes to its holdings. That was followed by a 2.3-tonne increase in September to 32.09 tonnes and then a cut of 1.02 tonnes in October 2012 to 31.07 tonnes. Baghdad’s total reserves stand now at 65.8 tonnes, making it the 43rd biggest official sector bullion holder in the world, after Denmark and just ahead of Pakistan, Reuters reports. But gold remains less than 5% of the country’s overall foreign exchange reserves showing that there is the possibility of further diversification into gold in the coming months.